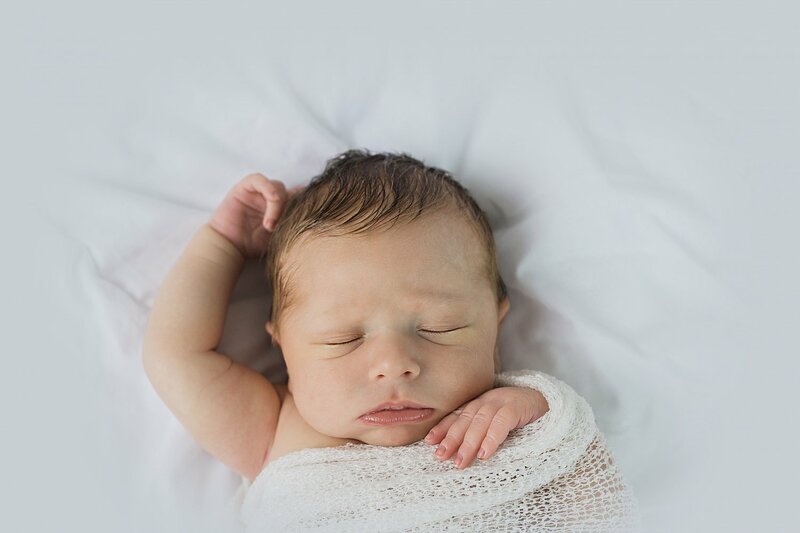 The pure newborn session includes a 2-3 hr session at the photographer's in-home studio. The session usually takes place between 5 and 14 days after your precious baby is born. This ensures that your sweet babe is still very curly and sleepy. There's no need to feel rushed during the session. There will be plenty of time for feeding and rocking your sweet babe back to sleep. The pure newborn session focuses primarily on your baby so there will be very minimal props and will be very neutral in color. These beautiful photos will last for years to come. Mom, Dad and siblings are welcome to join in for a few shots. You will also receive a $150 print credit to use towards a Digital Boutique Package or any of the beautiful Fuji Deep Matte prints that you will cherish in your home. Please choose the Tuesday or Thursday closest to your due date. The date will be finalized after your baby is born.